I heard about a new law in California making NFL cheerleaders employees. Glad to see our legislature isn’t wasting time fixing the drought issues, abusive ADA lawsuits, and crime and instead is focusing on the important stuff. Why was this even necessary? Q. I heard about a new law in California making NFL cheerleaders employees. Glad to see our legislature isn’t wasting time fixing the drought issues, abusive ADA lawsuits, and crime and instead is focusing on the important stuff. Why was this even necessary? A. While California seemingly has some very pressing issues, former collegiate cheerleader and AB 202 sponsor, Assemblywoman Lorena Gonzalez, thought a need to pep-up the status of NFL cheerleaders. As you may recall, in January, 2014, we brought you an Employment Answer which discussed the class action lawsuit brought by the Oakland Raiderettes and in April, 2014, another Employment Answer that discussed a similar issue/lawsuit brought by the Buffalo Jills. Evidently we really like cheerleaders! Both groups of cheerleaders claimed they should be treated as employees and not independent contractors. This is significant because if the cheerleaders were treated as employees they would need to be paid hourly, including overtime, and be subject to the volumes of other laws surrounding employees. Interestingly, until the lawsuit, despite the $100 per game fee paid to the cheerleaders, the teams never seemed to have a problem finding people to line up to cheer. (That said, it is unclear whether the “lining up” was simply part of their cheer training). Recently, the Raiderettes settled their lawsuit for $1.25 million dollars. Despite the unwieldy test, the Raiderettes and Jills seemingly fall into many of the above categories thereby making a strong case for employee status . . . and a large settlement. The million dollar settlement further makes sense because improperly classifying an employee as an independent contractor could mean significant damages. In addition to being liable for simple back pay, a business’ improper classification could lead to numerous penalties and other damages. Outside of back pay and penalties, the employer must also be worried about having to pay attorneys’ fees – AND not only their own – BUT ALSO the plaintiff’s attorneys’ fees. And, if a lawsuit is brought against a business as a class action suit (which they generally are), such fees could easily be in the hundreds of thousands of dollars. In the end, these lawsuits often times are settled for millions of dollars. What makes this new cheerleading law perplexing, however, is why cheerleaders are being singled out. The cheerleaders had a remedy – and were seemingly very successful in arguing they did not fit under the existing independent contractor definition. While the independent contractor definition should be streamlined with a much clearer bright line rule, why the legislature felt it necessary to have a new rule just for cheerleaders after they just signed a 7 figure settlement seems strange. And, this new law is likely to have unintended effects – such as no more junior cheerleaders (those arrangements might violate child labor laws). For those businesses that don’t employ cheerleaders, they will need to continue to b-e / a-g-g-r-e-s-s-i-v-e and carefully analyze the use of any independent contractors. Might be time for a preventative defense and a time out with your legal professional. An employee is required to work for the “same employer” for 30 or more days within a year from the commencement of employment in order to qualify for sick leave. An employer may use a different accrual method than the “one hour for every 30 hours worked” requirement, so long as the accrual is on a regular basis so that an employee accrues no less than 24 hours of sick leave or paid time off by the 120th calendar day of employment, or each calendar year, or in each 12-month period. Alternatively, an employer may satisfy the accrual requirement by providing no less than 24 hours or three days of paid sick leave that is available to the employee to use by the completion of his or her 120th calendar day of employment. An employer is not required to reinstate accrued paid time off to an employee rehired by the employer within one year of separation from employment where the employee was previously paid out unused paid time off at the time of termination, resignation, or separation. Employers in the broadcasting and motion picture industries are allowed to delay compliance with the new sick leave notice requirement until January 21, 2016. The provision of the Paid Sick Leave Law that provides that employers who already have sick leave/PTO policies in effect need not provide any additional paid sick leave under AB 1522 if their current polices make paid sick leave available for the same purposes and conditions as AB 1522. Section 246(e) provides two options for compliance. AB 304 revised the second option to now include a “grandfather clause” for existing paid sick leave/PTO policies provided to a class of employees that were in effect prior to January 1, 2015. Such grandfathered policies can continue for both current and new employees in the class covered by such policies where their accrual method is different than one hour per 30 hours worked and instead provides at least one day or eight hours of paid sick leave/PTO within three months of employment and the employee was eligible to earn at least three days or 24 hours of paid sick leave/PTO within nine months of employment. Any changes to a grandfathered paid sick leave/PTO policy that lowers employee accruals will lose the grandfathered status. If unlimited sick leave or paid time off is provided by an employer, an employer can satisfy the requirement to give notice of sick leave to employees by marking “unlimited” on the notice form or on the employee’s itemized wage statement. For exempt employees, in the same manner as the employer calculates wages for other forms of paid leave time (i.e., vacation). An employer no longer has an duty to inquire into the purposes of why an employee took paid time off nor any duty to record these reasons. Employees no longer need to be performing “onsite” construction work to fall under the exception under section 245.5(2). Offsite construction work presumably now applies for this exception. Can the New York Giants legally inquire about a star player’s medical condition after a fireworks injury? What can the Giants do if the player refuses to answer questions? Q. This past 4th of July, it was widely reported that New York Giants defensive star Jason Pierre Paul (“JPP”) suffered injuries to his hands in a fireworks mishap. The Giants and JPP have been engaged in contract negotiations this summer. As you can imagine, JPP’s health is critical in assessing his continued value to his team. Additionally, the Giants may need to know about JPP’s health in order to make other roster moves to secure an effective backup, which they will desperately need if they are to have any chance at stopping their division rival, the Dallas Cowboys, this season. In an attempt to gather more information, the Giants sent their athletic trainer to visit JPP at the hospital. However, it sounds like JPP is not talking. Aren’t the Giants simply an employer and, therefore, limited to the types of medical questions they can ask an employee? (We understand they are not exactly like other employers – their employees are generally very large and very well compensated). A. There are indeed rules that limit an employer’s ability to ask their employees medically-related inquiries. These rules can be found in Title I of the Americans with Disabilities Act of 1990 (“ADA”). The types of questions that can be asked depend on the stage of the employment relationship. The stages of employment are broken down as follows: (1) prior to an offer of employment; (2) after a conditional offer has been made; or (3) after employment begins. Prior to an offer, no disability-related questions are permitted. After a conditional offer, disability-related inquiries are proper so long as it is consistent for all new hires. Once employment begins an employer may only make disability related inquiries if they are job related and consistent with a business necessity and the inquiry is based on “a reasonable belief, based on objective evidence, that: (1) an employee’s ability to perform the essential job function will be impaired by a medical condition; or (2) an employee will pose a direct threat due to a medical condition.” The “reasonable belief” may be based on observed performance problems that are reasonably consistent with a medical condition, or based on reliable information by a credible third party. See http://www.eeoc.gov/policy/docs/guidance-inquiries.html. But, what can the Giants do in this case, where it has been reported that JPP is refusing to answer any questions about his injury? This is where it starts to get a little tricky – any discipline or adverse employment action must be based on performance problems – not a failure to respond to medically-related inquiries. 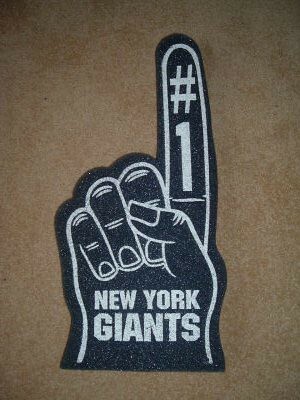 Because it is the off season, the Giants’ hands (no pun intended) appear to be tied. And, because in the NFL it is most likely that any adverse employment action must be handled pursuant to the binding collective bargaining agreement, the situation will get increasingly complex. Another interesting wrinkle is whether it could be argued that, because the Giants and JPP are in contract negotiations, JPP actually falls into the first stage of employment – prior to an offer of employment – thus, making any disability-related inquiry improper. This seems unlikely because he is also on the Giants’ team roster, but his agent may prevent other teams that may want to sign him from asking. Employee injuries and disabilities can be delicate situations, even when they happen to non-delicate NFL players. As such, it is always a good idea to familiarize yourself with the law before making medically-related inquiries in your business. Remember, football players aren’t the only ones with moves – sometimes plaintiffs’ lawyers have a few spin moves, bull rushes, and jukes of their own. Employers cue D – FENSE chant now. They would also need a new quarterback, new offensive line, new special teams, extra timeouts, and a twelfth man on the field to stop Dallas from taking the division. Shameless team plug presented by Dallas Cowboys fan (and BMJ attorney) Diane Coderniz.